Also, sounds like some great news is on the horizon for bakery fans! Great (potential) news coming from Epcot’s France pavilion. 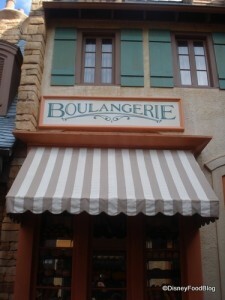 Walt Disney World has filed paperwork to indicate a France Bakery expansion at Boulangerie et Patisserie! Disneyland is hosting a Midnight Snack at the February 29th “One More Disney Day” event. Yummy treats and hot beverages are included! Plus special menu items at select restaurants! And here’s the list of Walt Disney World restaurants that will be open during One More Disney Day on February 29th! The Hollywood Brown Derby at Disney’s Hollywood Studios is testing an interactive menu to enhance the dining experience for guests with special diets. The James Beard Foundation has announced semi-finalists for the 2012 Restaurant and Chef Awards, including Disney World and Orlando-area Chefs. Lifetime Achievement Award will go to Wolfgang Puck at the May Awards Reception. Congrats to the chefs! Tables in Wonderland has released info on its March culinary events, including an Illuminations Dessert Party! 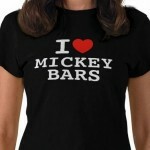 For more yummy food news, stop by our Disney Food News Pin Board, where Disney Food News is updated on a regular basis! 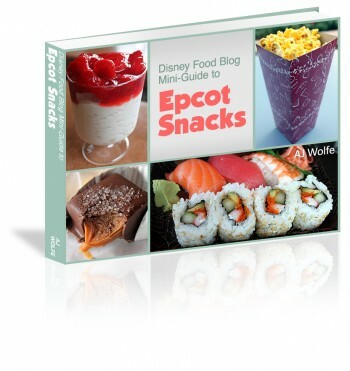 The DFB Mini-Guide to Epcot Snacks e-Book is Now Available! The DFB Mini-Guide to Epcot Snacks e-Book is the fourth in our Disney Food Blog mini-guide series, created to supplement our Disney Food Blog Guide to Walt Disney World Dining e-Book. Here you’ll find in-depth information, HUGE color photos, and first-hand reviews about classic and new-to-you Epcot snacks — in great detail! 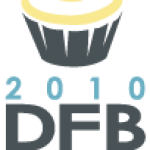 The DFB Mini-Guide to Epcot Snacks is an instantly downloadable PDF guide with over 180 pages of information and advice on over 150 delicious snacks that you can savor in Disney World’s Epcot. Get your copy for $2 off today by using code EPCOT at the check out! Walt Disney World for Grown Ups celebrates Mardi Gras by highlighting the Mardi Grogs Pool Bar at Disney’s Port Orleans French Quarter resort. Make the Magic goes back in time to the Stargate Restaurant in Epcot’s Future World. Main Street Gazette stops by Sunshine Seasons in Epcot for a Guava Cream Cheese Cupcake. AllEars.Net‘s Jack Spence tours Epcot’s China Pavilion. Eating (and Drinking) Around the World reviews numerous culinary delights around WDW. 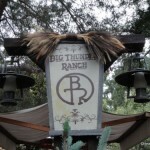 All’s Fare Food Blog takes us on a tour of the Animal Kingdom Lodge’s food court, The Mara. Disney by Mark dines at Steakhouse 55 in Disneyland. 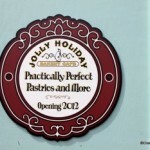 Disney Parks Blog highlights treats and restaurants available on Disneyland’s Main Street.